Jocelyn is the founder and CEO of JR Group. 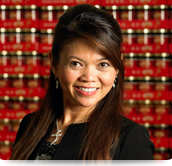 Graduating with a BA and EMBA from the National University of Singapore, she is an entrepreneur with more than 20 years of hands-on experience in the sauce manufacturing business. Jocelyn has won numerous awards such as the Montblanc Businesswoman of the year (2003) and Woman Entrepreneur 2001 by ASME for her enterprise and innovative ideas. As an Executive Director of JR Group, Thomas brought with him 30 years of General Management and marketing experience in the fast moving consumer goods business (FMCG) and catering. 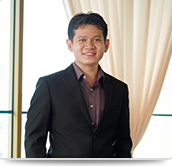 His prior key appointments include being the Group Marketing Manager of Singapore’s largest contract catering company, The Bowater Group; General Manager of Shriro Singapore Pte Ltd and Head of the Consumer Division of Petra Foods Ltd.
Tony started his career with OCBC Bank after graduating with a Bachelor in Business Administration in NUS. After which, he spent the next several years in the F&B industry with JR Foods. 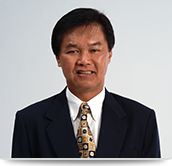 To ensure continued growth of the restaurant and catering business units, he was instrumental in setting up at least 3 F&B restaurants as well as secured institutional contracts with major clients and events.